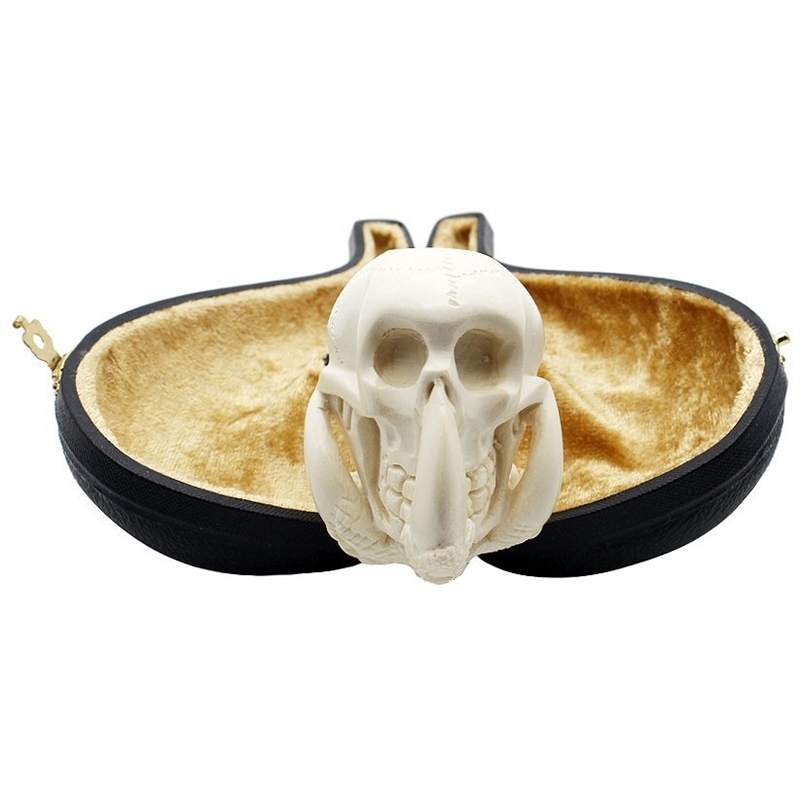 Deluxe Hand Carved Skull in Claw Meerschaum Pipe - A big grinning skull sits safely in an eagle claw that is carved in full detail. The bent stem is a scrolled design in marbled amber colors. This is a nice bold looking pipe that is pretty lightweight in the hand for smoking. 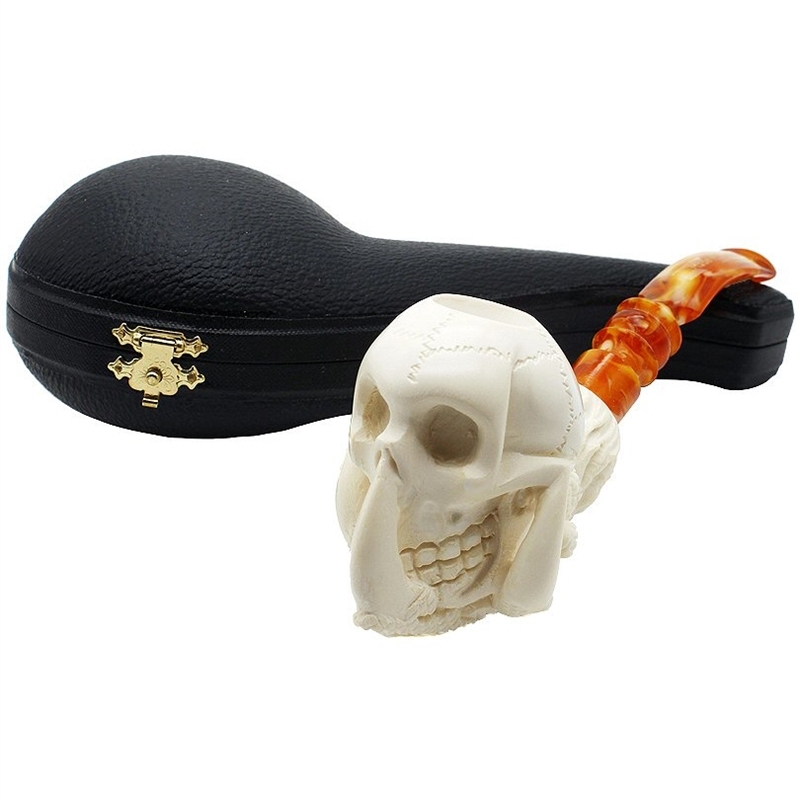 It's also a great collectible pipe.